The Rankings Are Over. Now What? Now that the rankings are over and I’ve had a long weekend to detox, it’s time to look forward. As many of you know, a couple of weeks ago I was proudly able to announce that I am the newest Senior Fantasy Writer at Baseball Prospectus (fellow BP newbie Mike Gianella beat me to Twitter with the news). This is extremely exciting for me, as I have been a Baseball Prospectus reader forever and am excited to work with a fantastic team there. Unfortunately, do to so, I had to leave another fantastic team behind. My work at Fake Teams (and the still-defunct Roto Hardball before that) is something that I’m extremely proud of. I don’t feel quite so bad about leaving though, since they have no shortage of excellent writers over there and will certainly be fine without me. The Opportunity Seekers: The largest portion of the content between now and the start of the regular season will be focused on players who are either going to have full-time positions for the first time or are in competition for one. This will focus more heavily on 2013 rookies, but will also touch on players who just haven’t quite made that next step for fantasy purposes. Each spotlight will take a look at what the player can bring to the table, both in the short-term and long-term, along with what you need to watch in their performance. 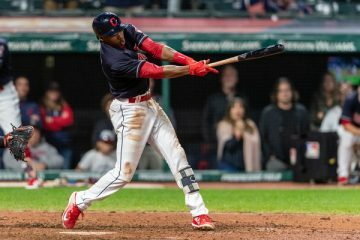 Drafting a Dynasty League Roster, the Major League Side: Some of you may remember the series on the 20-team initial minor league draft I participated in back in November. Well, in another couple of weeks, it will be time for the major league portion of that draft. 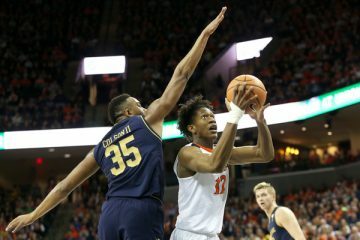 I’ll go into how to approach an initial dynasty draft, break down the picks I made and the strategy I used. 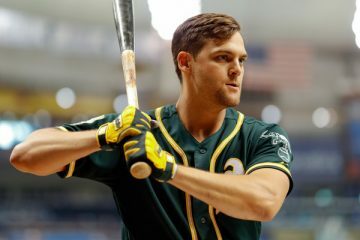 Bouncing Back: In this series, I’ll focus on a handful of veteran players who may either fall through the cracks in your leagues or be freely available for scraps, yet could see their dynasty league values jump in the coming season. It’s just as important to keep an eye on players like this, as it is to keep an eye on prospects and/or rookies. If you don’t believe me, just ask the owners in your league who picked up Edwin Encarnacion, R.A. Dickey, Aaron Hill or Alex Rios last season. On top of this, there will be additional content sprinkled in, including an addendum to the Rebuilding a Dynasty League Roster series covering how I approached the off-season draft and what I did. I’m also looking into adding some more fun things to the site over the coming months, which are still too far back in the pipeline to announce here. However, there is one thing which I wanted to bring up. I’m giving serious thought to adding additional contributors to The Dynasty Guru to help me provide more great content during the 2013 season. This is not something which I do lightly, as I’ve always been committed to making the content on this site the best it possibly can be, but there are some great writers out there who are heavy into the dynasty league format and I think they could help make this site even more robust. As any of that happens, I will be sure to keep you all posted. It has been my #1 goal since I started this website to make this THE place to go for dynasty leaguers on the internet. That goal hasn’t changed. Hope you’ll all stick around to see the excitement rolling out in the near future. Big fan of this plan. I’m a BP subscriber, but very happy you’re keeping this up. Along with BP and Razzball, you’re one of my first daily visits. I’m one of the newer dynasty leaguers who’ve just discovered this site. It’s good to hear that you’re keeping this going, as this is definitely my favorite Dynasty website around. Congrats on the BP gig, great to know this site will still be active as it’s top of my daily ‘to read’list. So….just made a large trade….wondering what you think….14 team, 18keepers….I traded Trumbo, Alex Rios, Iwakuma and my 2nd round pick for Verlander and his 7th round pick….I probably wasn’t keeping Iwakuma anyway, but i hate losing Trumbo’s versatility, but I didn’t have a pitcher in the top 150….so….? I’m not a huge Trumbo fan, so I like that deal for you. JV is definitely the best player in the deal and if you need pitching, there are few better guys than him..
Agree with Bret. Rios seems like the guy you might regret moving the most but given his year-to-year uncertainty, I like getting a talent like Verlander. I like the idea of consolidating talent like that. Especially with your lacking a dominant pitcher of any kind.